If your content marketing efforts are bogged down—let's face it, it happens—the folks at Scribewise have a cool program you might be interested in. They call it Content Rescue, and it's free consulting for the first 10 Swipe File readers who sign up. They'll assess what you're doing now, do some research on your competitors and make recommendations on how you can up your game. Sign up here—it'll take less than a minute. I really appreciated the simplicity of this article. There's a backstory, which you can read here. But I was left wondering: What’s next? 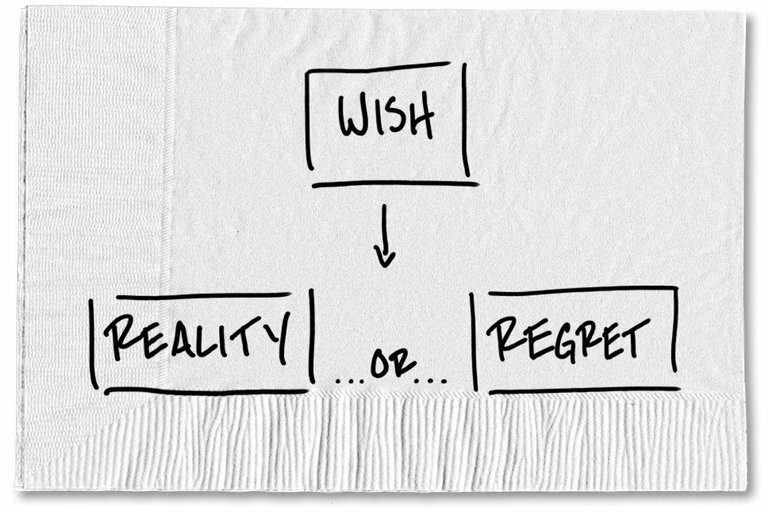 What can we do to make sure that these wishes become reality instead of regrets? Pick one thing on my list. Decide today to do one thing that will get me closer to making that one thing a reality and further away from regret. Wake up in a year with fewer regrets. Ryan Holiday's writing is consitently great. Here's a perfect example of a simple idea followed by engaging examples. All these issues are solvable. Each would collapse beneath the process. We’ve just wrongly assumed that it has to happen all at once, and we give up at the thought of it. We are A-to-Z thinkers, fretting about A, obsessing over Z, yet forgetting all about B through Y. But perhaps Flanagan’s bigger accomplishment lies in nurturing and promoting the rising talent around her, a rare quality in the cutthroat world of elite sports. Every single one of her training partners — 11 women in total — has made it to the Olympics while training with her, an extraordinary feat. Call it the Shalane Effect: You serve as a rocket booster for the careers of the women who work alongside you, while catapulting forward yourself. Several hundred of you have taken my 5 Days to Better Content Marketing course. The feedback has been great and I've learned so much from all the replies. I am truly thankful for your support! As of today, that course is no longer free. I'm charging just $5, which (in my obviously biased opinion) is a steal. If you enjoyed that course or this newsletter, I'd really appreciate it if you'd pass this link to a friend. Ben Thompson's analysis of the Stitch Fix IPO is worth a read. Tweet of the week from @jasper: I'd say about 96% percent of "millennials are killing" stories can be rewritten as "millennials are making a rational financial decision in light of their economic realities"
Anyone have a cloud photo storage tool that they recommend (aside from Google Photos)?